At a press event today in New York City, Holland America Line’s president, Orlando Ashford, announced three new brand partnerships that the line says will change the way of travel. Holland America Line is partnering with BBC Earth to bring fun and factual entertainment aboard its fleet. Through BBC Earth’s signature programming, guests will be taken closer to the ocean and natural world through concerts, films, shows, children’s activities, and theme cruises. For example, a highlight of the partnership will be a live concert specially adapted for the line based on the “Frozen Planet” program, which will take guests on a journey into the majestic wilderness of the Polar Regions. The production will feature “Frozen Planet” footage and be accompanied by live musicians. On all ships, activities will include a game show uncovering the weird, wonderful, and obscure in our natural world and BBC Earth theater screenings with special introductions by the film crew behind the programs. Junior cruisers can get in on the adventure as well with an onboard explorer trail, fun workshops, and BBC Earth animal and dinosaur fact shows. They will even have the opportunity to try their hand at being a journalist. The BBC Earth program is set to roll out across Holland America Line’s fleet starting in April 2016 and will be on all ships by September 2016. Holland America Line is also partnering with experiential travel expert AFAR Media to help cruisers dream, plan, choose, and prepare for the perfect cruise vacation. 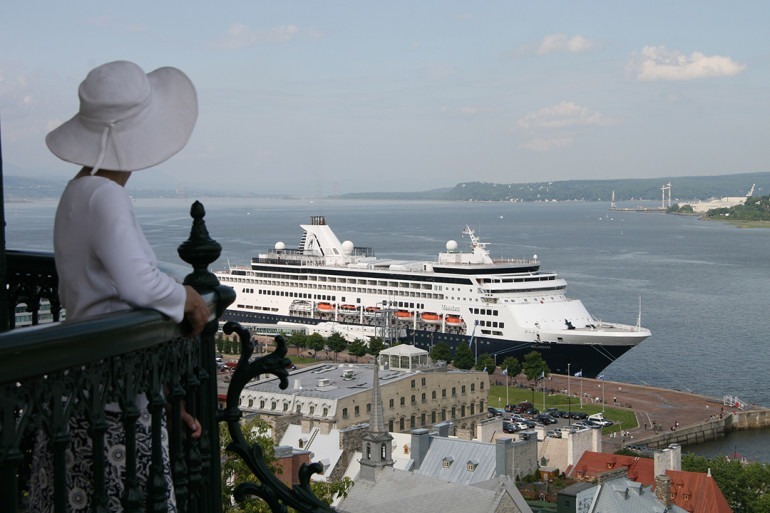 Through the collaboration, AFAR will provide “Destination Guides” on Holland America’s website for all of its ports of call and scenic cruising areas — totaling approximately 400. AFAR will utilize its network of local experts to provide authentic recommendations for attractions, restaurants, and shopping in each destination. From the world’s largest cities to relatively undiscovered ports, each Destination Guide will contain an overview of up to 20 top picks to see and do in the area. 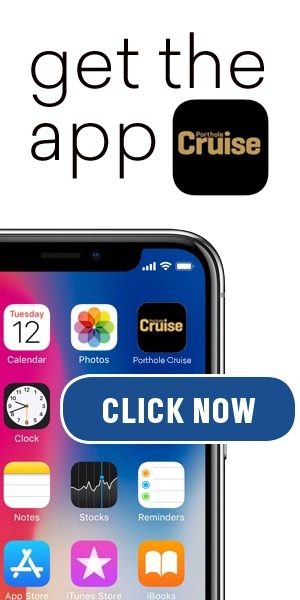 Holland America Line has also collaborated with software platform Utrip to offer the highest level of cruise vacation personalization, allowing cruisers to more easily find the best itinerary and shoreside activities based on their tailored preferences. Through integration into Holland America Line’s website, the Utrip platform will offer a novel way to personalize content in new Destination Guides being created with AFAR Media. Cruisers will be able to browse the information or use the Utrip functionality to select ports of call, highlights, and activities ashore. They will then receive customized recommendations (out of 8,000 recommendations) on the line’s cruise itineraries, port highlights, and shore excursions tailored to their interests. “Our guests want to experience destinations in their own way, and through our partnership with Utrip they can now personalize their trip in a fun and engaging way, as well as make more informed choices about what to do and see ashore,” said Ashford. Utrip simplifies the search by enabling guests to narrow down their options and save specific ports and interests. These are recommended by either a pre-determined profile or a personalized one created with interactive sliders covering History, Art and Culture, Food and Drink, Nature and Outdoors, and Contemporary Life. For each destination, Utrip searches top-pick attractions, local dining, and shopping options for the best match to personal preferences. Interactive maps allow users to see the location of each suggestion and click for additional information. The interface also will make recommendations for shore excursions based on preferences. 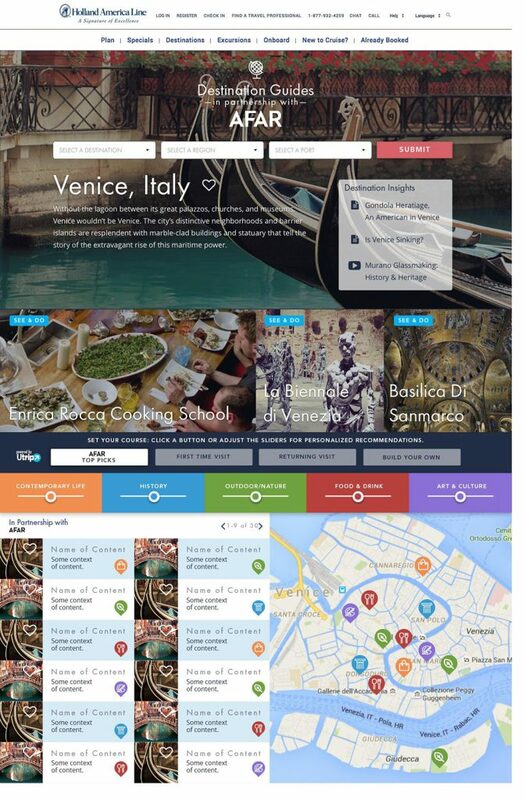 Utrip will also enable guests to find cruises visiting specific ports and regions without having to sort through dozens of itineraries in the area. Then, users can save the recommendations to their profile so they can easily find them when they are ready to book their cruise. In addition, Ashford announced that the line will be launching a new logo and tagline at of the first of the year: Holland America Line – Savor the Journey.